Is Your Car Insurance Cheap Enough? Are you getting cheap insurance for your car? This list will help you obtain cheap car insurance - not cheap in terms of quality but easy on your wallet! Forget the myths, get your car insurance policy and compare your savings with this list to see if you are getting all of the savings you are entitled to, or print it out and use it when getting a new policy or obtaining an online car insurance quote. Get Theft Devices: Most new cars have theft devices. Some are automatic and some have to be started at the touch of a button, but all usually get discounts on car insurance. Also, some states provide extra discounts for such things as window sketching. Try a Usage Based Auto Insurance Device: Do you want to save money based on your driving habits? You can with a usage based auto insurance device. This device simply plugs into your car and transmits your driving data to your insurance company and your insurance company can base your rates on how good you drive. Ask for a Multiple Car Discount: Did you know sometimes insuring two cars can be the same price as insuring one? If not the same price, insuring another car usually does not cost as much as you may think. If you have two cars, it is very wise to check with your insurance agent, or while obtaining your online insurance quote, to make sure you can get this discount on your car insurance. Also, if you are planning to sell a second car, the cheap car insurance trick would be to keep that car on just liability to get your multiple car discount. Sometimes people are surprised when they call their car insurance company to take a car off of their insurance, only to find that their price did not go down but possibly increased! Stick With Yearly Policies: Choosing a yearly policy can extend your savings on your car insurance. Purchasing a yearly policy instead of a six month policy gives you a rate that cannot be changed for one year vs. changing every six months. Look Into Comprehensive Storage Coverage: If you are planning to store your car for any period of time, you can save on your car insurance by only keeping comprehensive coverage during the storage time. 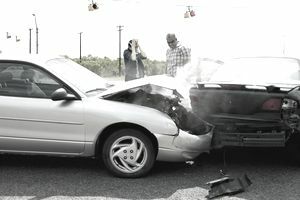 Since the car would be stored, it is very unlikely it will get in a collision or need the liability coverage. Re-Check Your Mileage: This is a great way to get cheap car insurance: If you are really close to the "miles to work" break-off, you may want to check your mileage closely. When your car insurance company or insurance agent asks you "How many miles do you drive to work one way?" this is a crucial question that will designate you into a particular class. Each class can have significant differences in prices. Look for a Group Discount: Many companies offer a discount on car insurance for being affiliated with certain organizations. These can range from credit unions, college sororities, or just having a certain credit card. Call your service center and ask them for a list of organization affiliations. Lower Liability, Comprehensive, Collision, or Medical Payments Coverages: Of course, you can lower your basic coverages but it may just give you the cheap insurance you need right no!. Comprehensive and collision are probably the first to look at lowering by increasing your deductibles on your car insurance. Most vehicles that are on bank loans can have up to a $1000 deductible. Next, lowering your liability and medical payments could help, but only if you are having a hard time paying for your premium and is not recommended for general savings. Make EFT Payments: Many car insurance companies are now charging up to $5.00 or more for mail payments, but sometimes nothing if you choose to have payments automatically deducted. And, sometimes the deductions can come from your credit card, so you don't have to worry if the money will be in your bank account when payment time comes. More ways to get cheap insurance come through being a woman, keeping your credit in line and more, including getting an experience letter from former insurance companies. Defensive Driving Course: Some companies give considerable discounts on car insurance for attending defensive driving courses. Check with your state insurance commissioner, insurance company or when obtaining an online insurance quote to see if you could qualify and to find out where to take courses. Combine Auto and Home or Renter's Policies: Most insurance companies give a discount if you carry your auto and home or renter's policy with the same company. This discount can be anywhere from 5%-20%! Watch Your Credit Rating: Another great tip to get cheap car insurance - keep your credit clean! Yes, a lot of insurance companies are checking your credit and basing your policy on what is found. Make sure you check to see if your credit is in good shape, and if it is not, you may want to seek out companies who do not do credit checks. Train Teenage Drivers: Drivers Education can not only give a reasonable discount on your car insurance, as well as good grades. You can report them to your car insurance company every semester. Forgo Extra Rental Car Coverage: If you have comprehensive and collision coverage on your current vehicle, you might not need rental coverage. You are covered as much on a rental car as you would be on your vehicle. So, if you have a fairly new car you should be OK, but if your car is only worth a few thousand, you should get additional coverage. High Risk? Get Help: Whether you are in the process of obtaining an online insurance quote or using a local agent, if you are in a high risk category and when you try to get insurance you either get turned down or cannot afford the ridiculous high premiums, you may want to contact your state insurance commissioner. All states have insurance for high risk individuals who may not be able to obtain insurance elsewhere. The coverage may not be the greatest, but at least it will get you rolling again.